The software generates thousands of unique scenes. Lars Brandt Stisen. 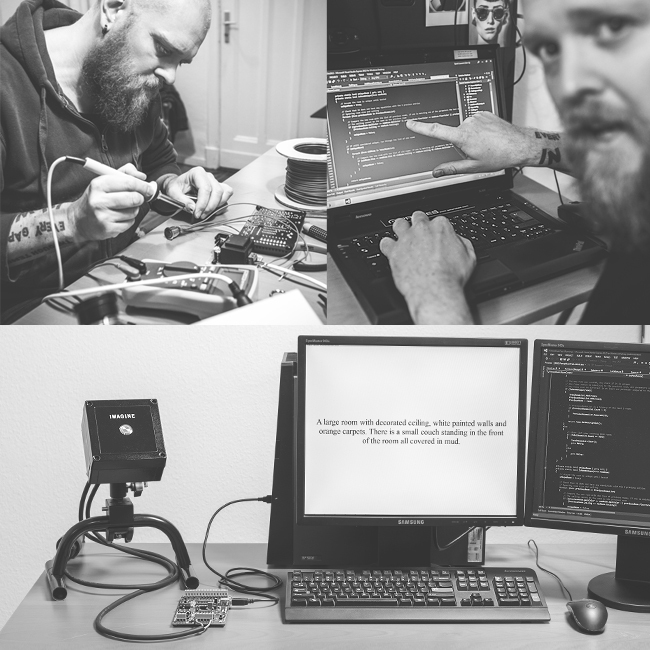 Software concept, design and programming by Lars Brandt Stisen. The software dynamically generates thousands of unique scenes for your imagination to dwell upon. Each scene is a room description in text. Descriptions vary in length and complexity. Please visit the PANOPTIKUM project page for more information about the concept. 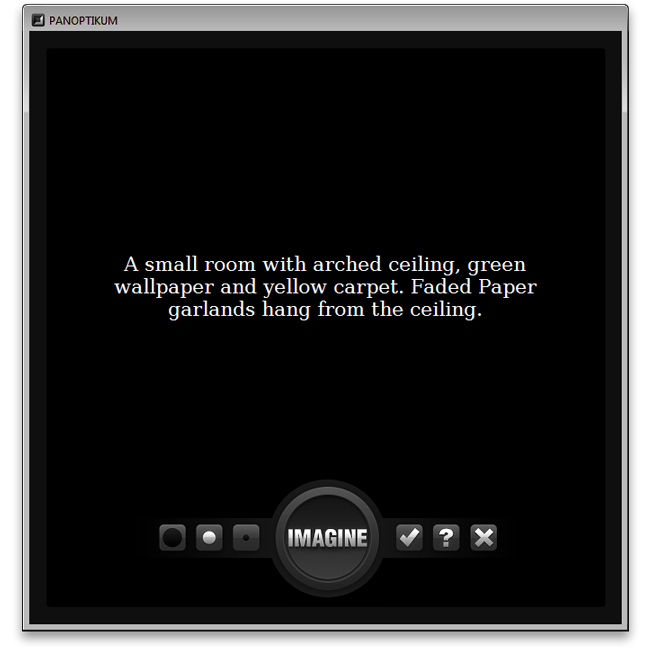 Click on the center button labelled "IMAGINE" (or press the space bar) to generate a unique room description. projectors and the custom USB push-button interface you see on the image. Windows 8, 7, Vista, XP (32/64 bit) — No Mac OS version, I'm sorry. Please visit the about page for contact information regarding the software or the PANOPTIKUM project. For license information please read the software license below. The following license applies to the public release version 1.0 of PANOPTIKUM (hereafter referred to as "software"). enough code to be recognizable from this code.